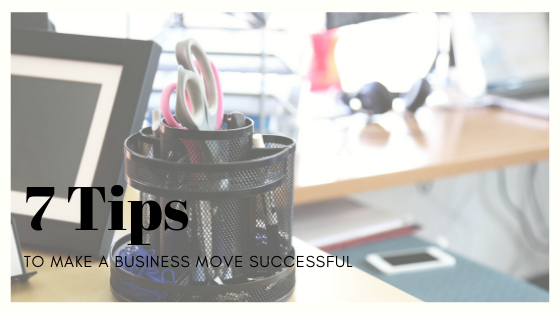 Will you be moving your business soon? It may not be as simple as packing everything up and getting the moving company to load and unload at your new location. In fact, there are several things that you need to do in order to prepare for an office or business move. We have compiled numerous items that you will want to address when your business is moving to make it easier on everyone, including your clients! 1. Be sure to notify your clients of this move. We suggest doing this at least a month before the move. You can send out a letter or an email informing them of this move. Be sure to put directions to your new location. 2. Notify those vendors that service your business of the move and ensure that they are set up to service your new area. 3. Be sure to notify your bank and have the address changed to avoid banking errors later. 4. Your insurance company will need to be notified early so that they can ensure that your new space is up to code and can be insured. 5. Change the information on your social media accounts so that people can easily find you, as many people are using social media as a way to find a business these days. 6. Be sure that you have the phone and internet hooked up at your new location on the day that you move in so there is no gap between being able to make contact with clients and the like. 7. Be sure that you have your voice mails and the like set up to let people know that you are moving and with any new phone number that they may need for when the move is complete. For those businesses who may be gearing up for a move, we can help. Here at Quality Moving & Storage we not only handle residential moves, but have the expertise to help with business moves as well.